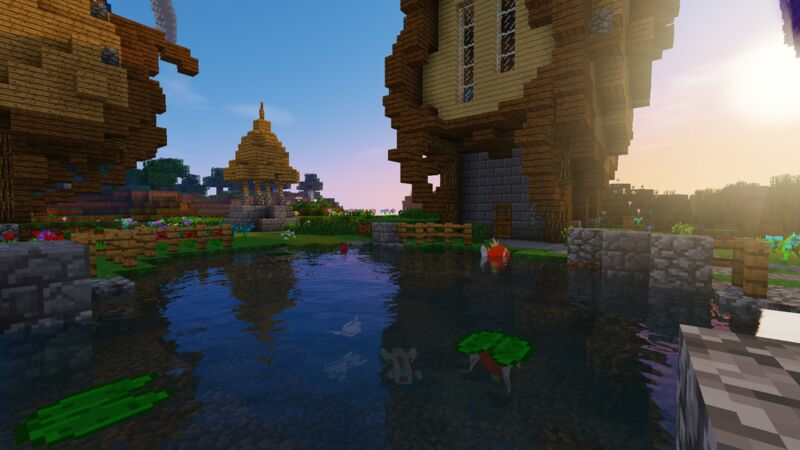 Our server offers profession, breath taking builds that are totally unique and custom. 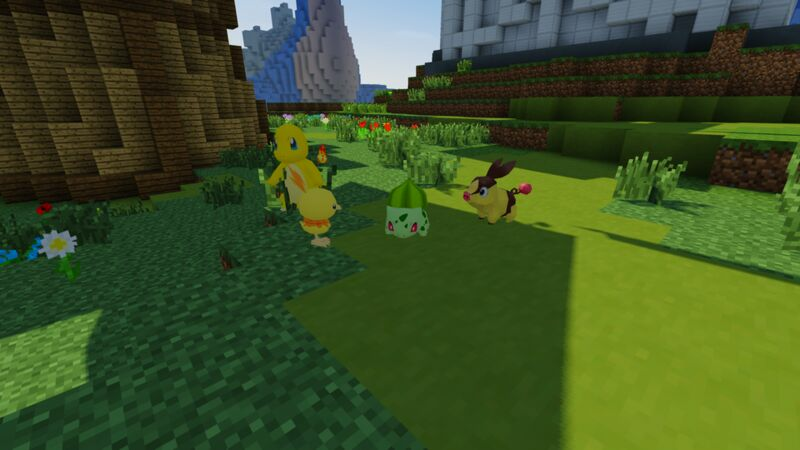 Upon joining the server EVERYONE is given a free shiny starter! 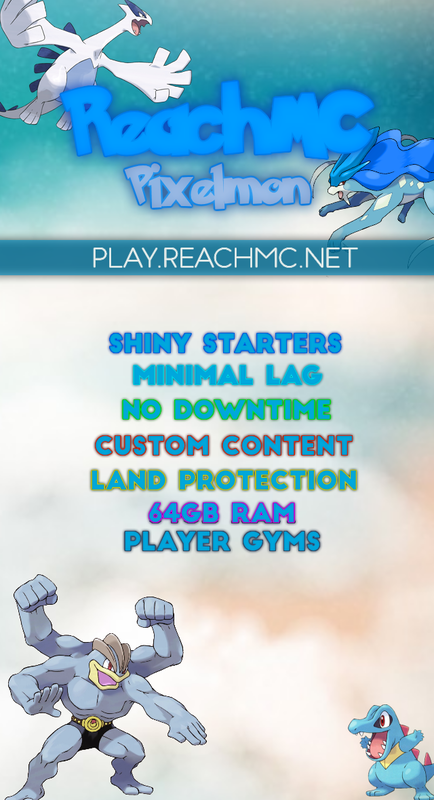 ReachMC Pixelmon offers custom, never before seen features, such as GTS, Daycare, Market, and interactive GUIS. The was false advertising, saying they had free sashes and more when they have pretty mutch nothing good for free. 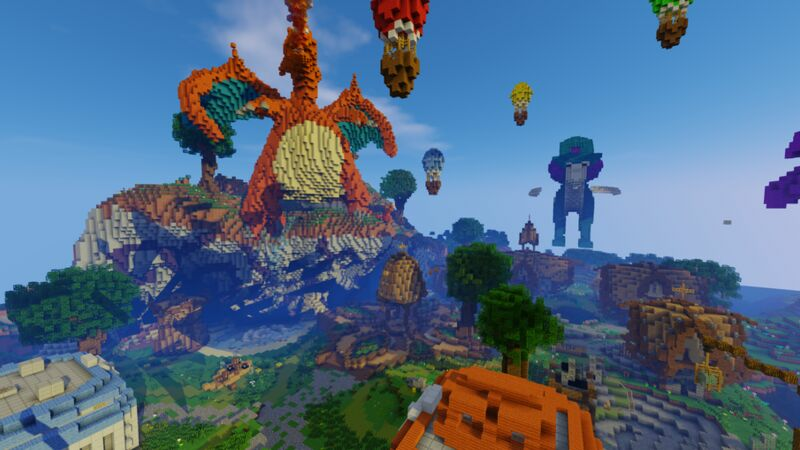 This server is the best server i have been on, great staff members, awesome features like pokebuilder, and an owner that actually comes online. It's the only server that i have donated to, and the ranks you can buy give amazing features, pokeheal is one of my favorite. I hope this server thrives forever! It is very friendly server to play on, staff and other players are nice and u have lots of features that help u to play.Well i would recommend this server to all players. 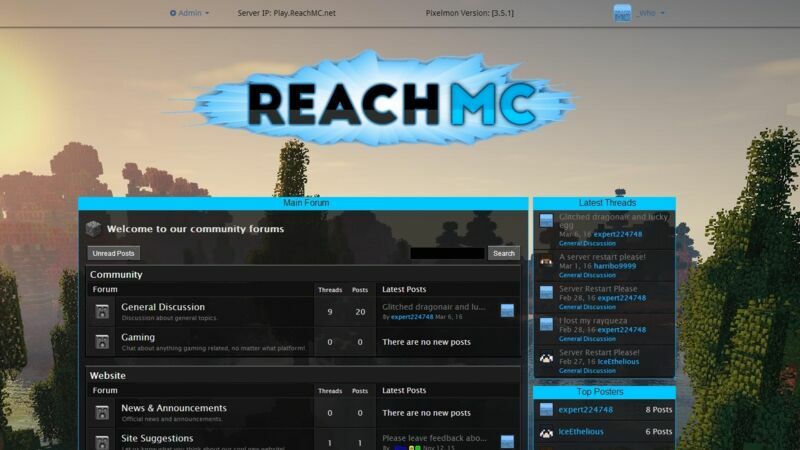 Hello, i am one of the admins on ReachMC and i'd like to give some context to some of the reviews i've seen on this site; We have had several problems with one or two staff that really should have never been given their powers in the first place. I would not like to name names but one of them accidently world edited 1000s of chunks into air. I can assure you that we have dealt with the irresponsible/rude staff. Regarding the voting issue, we had a problem where the voting was all setup but we could not get the server to give out the keys. It is now fixed so you don't have to worry about it anymore. To make up for it we had a drop party shortly after where we more than made up for any losses. We have gotten a suggestion for another kit for regular players although we do have one now. I will look into this in the future but for now i'm focused on several other projects at hand. If anyone has any concerns, questions, bugs, or complaints message thesilentecho7 on skype or write a post on our forums at http://www.reachmc.net/forum. Im on as much as I can and ill be happy to answer any questions you may have. Thanks and have a good day!